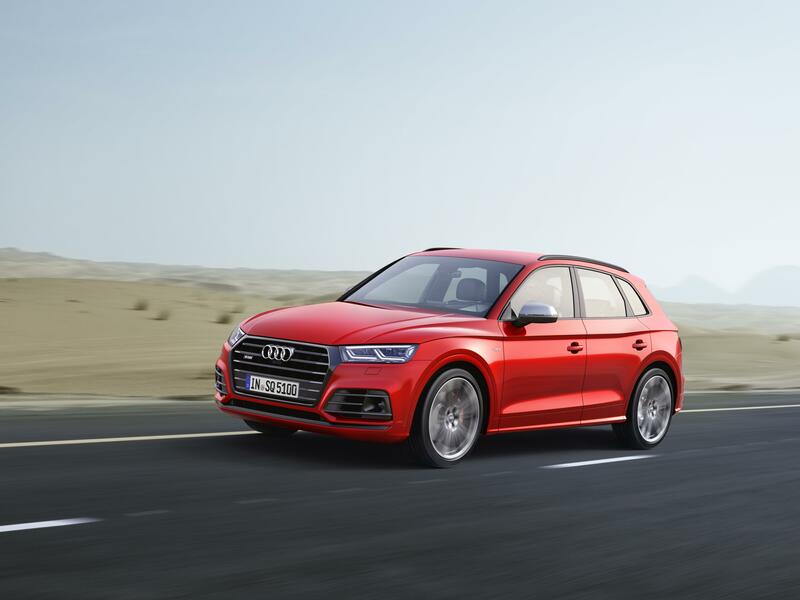 It’s usually a given that when Audi produces a new model like the 2017 Q5 that an S variant will follow within short order, so it was no surprise when Audi announced the debut of the brand new 2018 Audi SQ5 at this year’s North American International Auto Show. 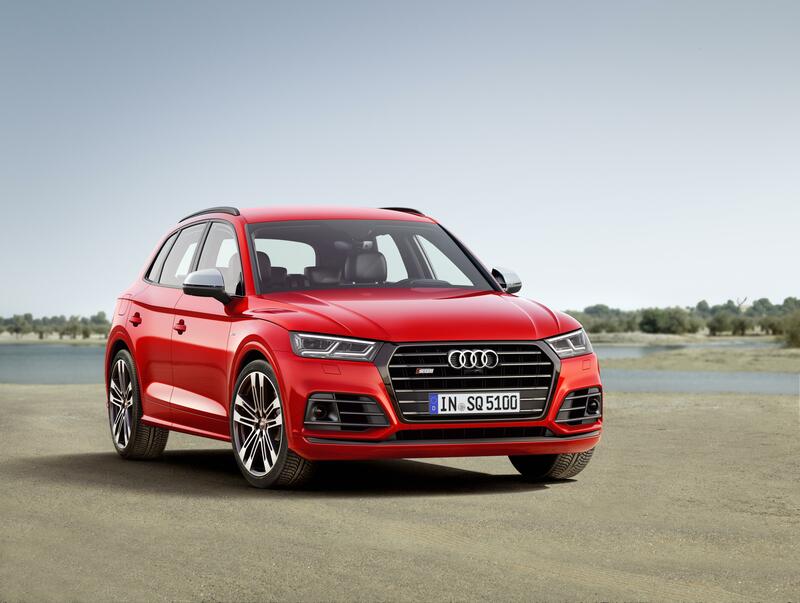 Just as the 2017 Q5 announced in Paris in October didn’t really change much visually, the casual observer would be forgiven for mistaking the newest S model for past iterations. Neither apple fell very far from the tree visually. 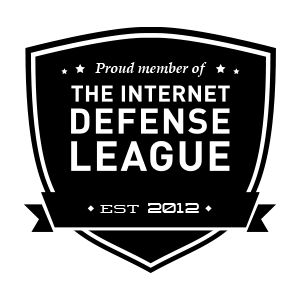 Look under the skin, though, and you’ll find a raft of new tech. 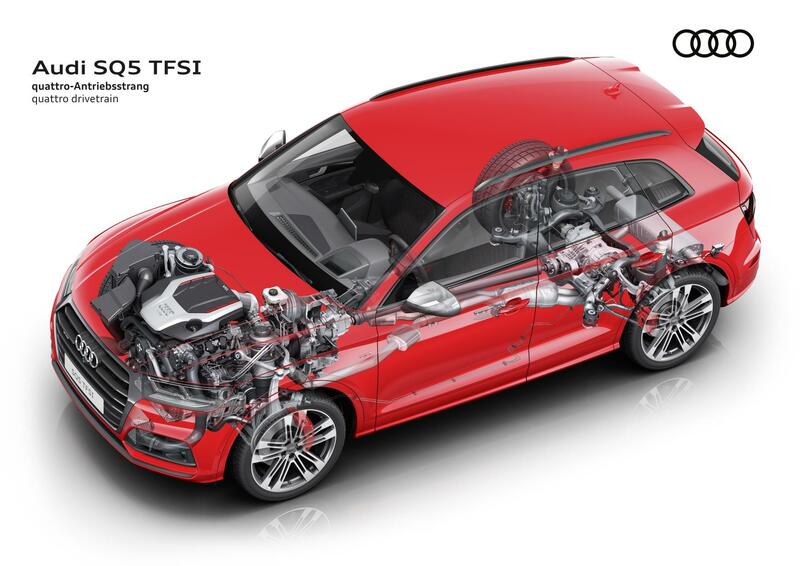 The turbocharged 3.0-liter from the S4 and S5 makes up the heart of this new machine, conjuring up over 350 horsepower and 369 lb-ft of torque. That’s plenty enough scoot to launch you to Interstate speeds in just over five seconds. 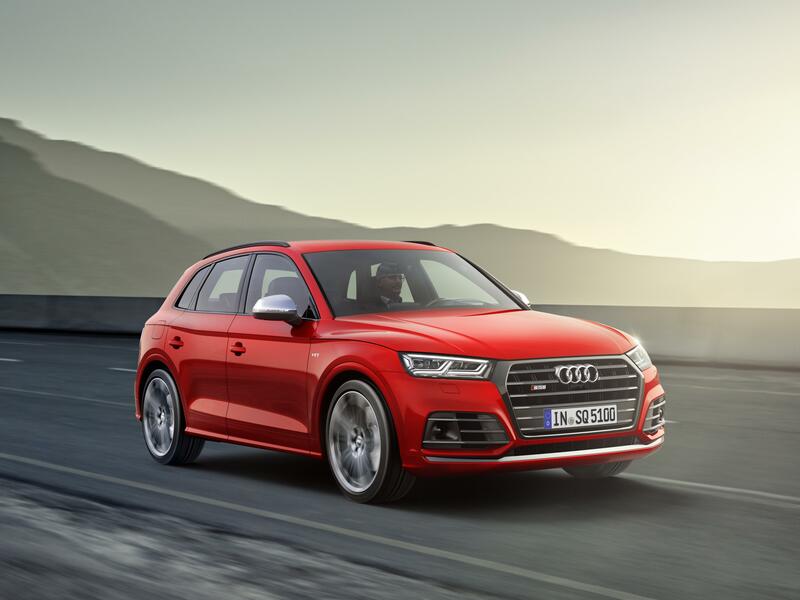 All that power doesn’t matter if you can’t keep your car on the road, so for 2018 Audi has given the SQ5 an adaptive air suspension that lowers the vehicle 30 mm automatically, though the driver can adjust the height and firmness manually as well. 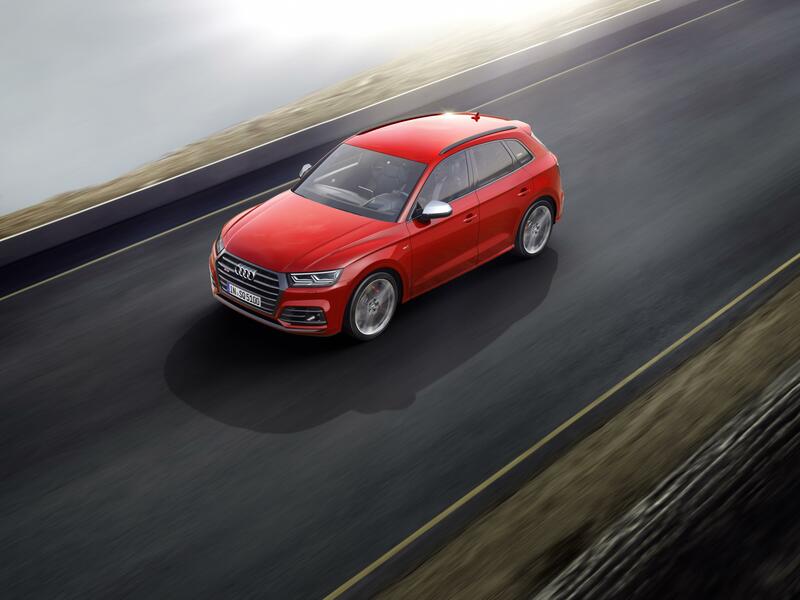 In the unlikely event the SQ5 is off road, the driver can even choose a lift/off road mode that increases ground clearance accordingly. Available also is a new dynamic variable steering, said to increase steering response at slower speeds while being more stable at higher speed. There are all the new gadgets everybody else has. Adaptive cruise control, automatic emergency braking, blind spot monitoring and the like are all available. There’s Apple CarPlay, Google Android Auto and a Bang & Olufsen sound system to keep your ears entertained. 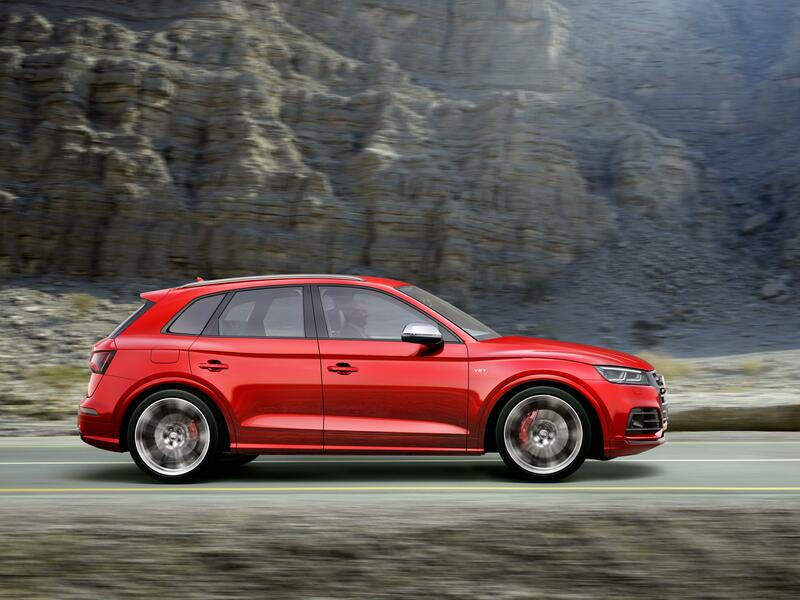 Expect to see the SQ5 on dealership lots sometime in springtime, 2017.